People often assume that MartinLogan was founded by a couple of guys named Martin and Logan, which is sort of true: Gayle Martin Sanders and Ron Logan Sutherland. MartinLogan "just sounded better than SandersSutherland," Sanders explains. (Apparently they never considered GayleRon.) The two met in the late '70s at a high-end audio store Sanders managed in Lawrence, Kansas. Despite very different backgrounds—Sanders had trained in architecture and advertising, Sutherland in electrical engineering—they shared a passion for music and, they soon discovered, electrostatic loudspeakers. For anyone seeking the ultimate in sonic purity and clarity, electrostatics held enormous appeal. Unfortunately, designing and building one that will also produce the sound levels and bass extension most people expect from a loudspeaker is a formidable challenge, even today. Back then, only a relative handful of electrostatic speakers had ever been brought to market. Although most were failures, a few, such as the KLH Model 9 and Quad ESL, were legendary among audio enthusiasts. The KLH probably came closer than any other full-range electrostatic speaker of its day to competing effectively with conventional speakers in bass and output capability. It was very big, however, and finicky and expensive, and it didn't fit in at all with the rest of KLH's line. Consequently, sales were modest, and eventually the Model 9 went out of production. 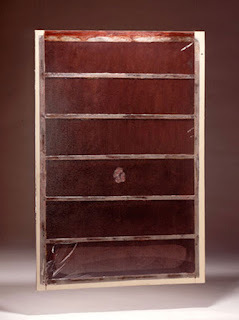 The Quad ESL was much more successful, especially in its native England, and until MartinLogan's products came on the scene it was arguably the only commercially significant electrostatic loudspeaker in history. It suffered the classic limitations of the breed, however. Though the original Quad electrostatic was widely regarded as the world's finest reproducer of chamber music, fans of rock and even symphonic music were inclined to look elsewhere. Sanders and Sutherland convinced each other they could do better. They were sure they could build an electrostatic speaker that would produce adequate bass, output, and sound dispersion without arcing, blowing up amplifiers, or otherwise offending people not interested in a living-room science project. Sanders organized a small research and development team to transform an original design he had tinkered with for more than a decade into a practical, marketable electrostatic transducer. 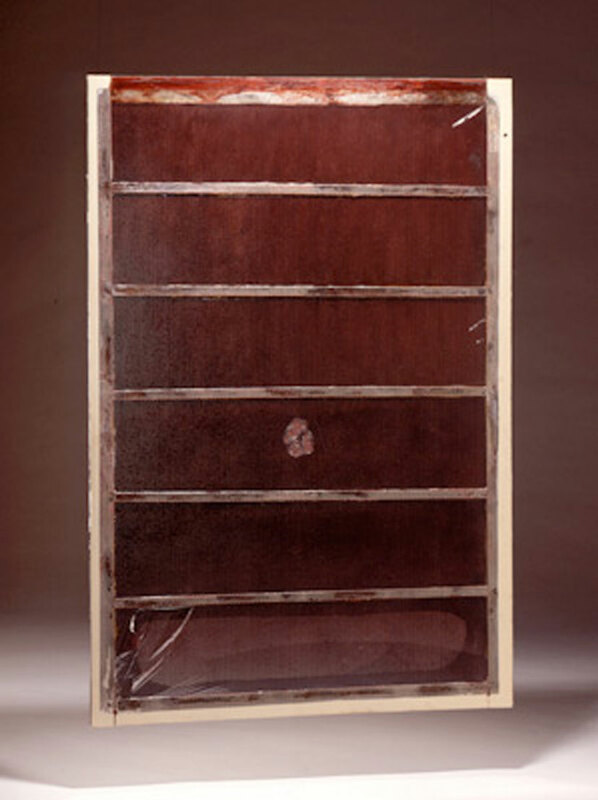 The first prototype was ready in 1980. Naturally, it still had that science-project quality—a flat aluminum panel sprouting wires, struts, transformers, and power supplies, connected to an amplifier in Sanders' living room. It sounded even better than expected, but when they turned up the volume, a lightning storm erupted across the panel and music was replaced by a plume of smoke drifting toward the ceiling. Still, they knew they were close. The team began a series of experiments with new aerospace materials that led to a design breakthrough. Constructed with state-of-the-art conductive coatings, insulation, and adhesives, their revised transducer sandwiched a clear, ultra-light Mylar diaphragm between two perforated-steel stators. The new speaker looked elegant and could play loudly without arcing, but Sanders still struggled with how to achieve satisfactory high-frequency dispersion without compromising sound quality. (Large transducers tend to radiate high frequencies in a narrow beam rather than fanning them over a wide area.) The solution came in a midnight session when Sutherland sketched a theoretical sound wave to illustrate how sound disperses. Sanders envisioned a horizontally curved panel, the curvilinear line-source, or CLS, transducer central to the design of every MartinLogan electrostat since. With only a mock-up and some photographs, Sanders and Sutherland exhibited their speaker concept at the 1982 Consumer Electronics Show in Chicago. An instant hit, the design was honored with a CES Design and Engineering Award. Excited by the response, they headed home to Kansas to translate their ideas into a working prototype. Through a network of high-technology manufacturers, Sanders and Sutherland enlisted the help of other engineers with cutting-edge expertise and interest in the project. The company that fabricated the space shuttle's filtered windows and the people who created Teflon-coated cookware joined the design team. From their combined effort emerged a patented vapor-deposition process, an optically transparent diaphragm that could support a 5,000-volt charge, and a conformal coating that uniformly insulated each perforated stator to a charge of up to 10,000 volts. 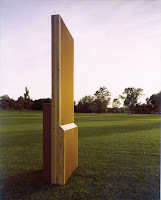 By the time of the 1983 CES, they had developed a full-range hybrid electrostatic loudspeaker they called the Monolith. A renowned high-end audio company used a prototype pair in its room at the show to demonstrate its electronics. Dealers who heard them were bowled over by the sound of the visually stunning, see-through Monoliths and, more importantly, eager to sell them. It was at this point that Sanders and Sutherland put their middle names to the venture and set about satisfying the demand they had created. MartinLogan finally took flight. The first couple of years were touch and go. Working with just one full-time and one part-time employee, they built and shipped the first 10 pairs of Monoliths. Despite specially designed cartons, three pair were ruined in freight—a near-catastrophic loss for the young company. Undeterred, they rebuilt the speakers and pressed on, establishing in the process the guaranteed-satisfaction policy that stands behind MartinLogan quality and workmanship to this day. Sales started to surge in 1985, and the company was finally on a firm footing. Sutherland departed to return to his first love, electronics. The next year MartinLogan moved to its current location at 2001 Delaware Street. At the same time international distribution for the Monolith took off with startling success. Steady growth followed. By 1988 sales had increased tenfold and the plant had expanded to include a large, dedicated production space. In 1989, and again in 1990, Inc. magazine recognized MartinLogan as one of the 500 fastest-growing privately held companies in the United States. The early 1990s saw the rise of home theater with the availability of new multi-channel sources. MartinLogan delivered the world’s first electrostatic center-channel speaker, Logos, and on-wall surround-channel speakers, Stylos. Engineered for instant, accurate response, and matched to the performance levels of existing electrostatic loudspeakers, these utterly new designs established MartinLogan as a major force in home theater. At the same time, some of MartinLogan’s most beloved classic electrostatic loudspeakers were introduced, including the bold and stylish SL3, and the compact Aerius, Quest and reQuest models. But by the late 90s, with the growing popularity of traditional speaker designs, the innovators at MartinLogan knew that they had to raise the bar of electrostatic performance and product design. They began work on what would be their most ambitious product to date. 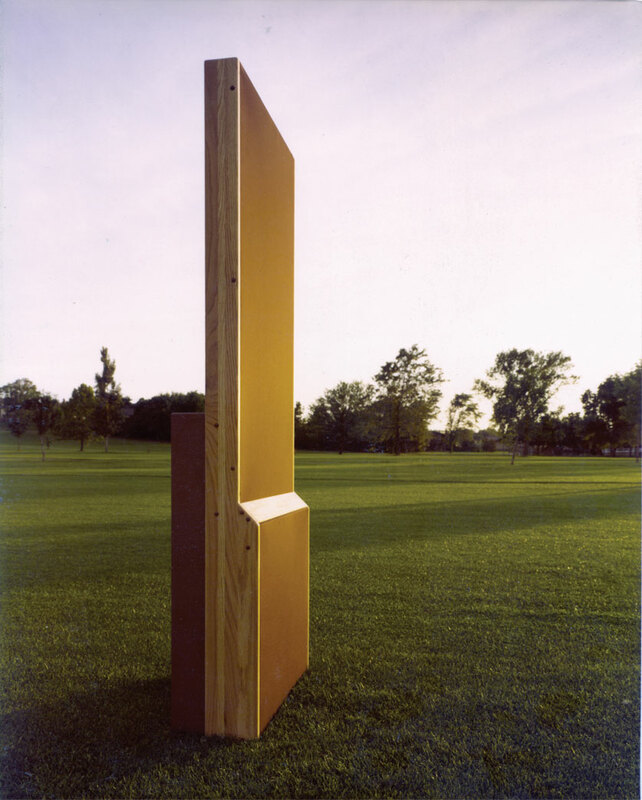 The two-stage, 2000-pound, no-holds-barred Statement e2 was unleashed in 1998. Its huge speaker system featured a separate tower of sub-bass drivers that extended the electrostatic range into the realm of the sublime. Combining the company’s historic quest for the most realistic audio reproduction possible, and many newly developed electrostatic technologies, the towering Statement e2 set the standard for MartinLogan performance and innovation in the new century. Translating that awesome performance into a more conveniently-sized electrostatic speaker system became the goal. This was realized soon after with the Prodigy generation of speakers. High performance electrostatic technologies perfected on the Statement systems were successfully engineered into a more compact loudspeaker system, opening the doors of electrostatic performance to a much larger audience. Prodigy models boasted the highest possible audio resolution and widest possible sound spectrum, with woofers incorporated into their cabinets. Prodigy’s success, in turn, inspired an entirely new breed of beautifully designed, high performance “hybrid” electrostatic loudspeakers. These included the Odyssey, the Ascent, and the compact Aeon. MartinLogan engineers became more interested in ways of accurately integrating advancing bass technology with the instant response of electrostatic loudspeakers. This research resulted in MartinLogan’s first non-electrostatic products. In 2001 (fittingly), MartinLogan introduced the massive Descent Subwoofer. The multi-driver design of the Descent Subwoofer, with its servo-control technology and innovative force-cancelling BalancedForce configuration, matched the demanding performance specs of electrostatic transducers. Descent was followed by the compact Depth and Grotto subwoofers. Then, MartinLogan raised (or, lowered!) the bass bar again when it released the Dynamo and Abyss subwoofers, with multiple driver-firing options. Fast, accurate wireless connectivity was introduced into the Dynamo line in 2009. By the mid-aughts, with the development of more advanced technology, MartinLogan personified superior quality and performance in the rarified electrostatic loudspeaker space. This reputation was bolstered by groundbreaking innovations throughout the early decade of the new century. These included the development of MicroPerf ESL stator technology, as well as the first use of non-ESL Advanced Thin Films. This was the seed that would ultimately bloom as Folded Motion tweeter technology. The high-end Summit electrostatic loudspeaker, first introduced in 2005, garnered rave reviews from the professional audio press for both performance and design. It pioneered the use of MartinLogan’s Ultra-Rigid AirFrame, a precision-manufactured panel frame that improved stability, and thus imaging and detail. Summit also combined state-of-the-art CLS Xstat ESL technology with advances in powered woofer technology (like PoweredForce, which delivered deeper bass response from a more compact enclosure). It also featured the latest evolution of the exclusive advanced-topology Vojtko Crossover. These advances produced a new level of performance that suited the growing ubiquity of digital media. Its success expanded the market exponentially and introduced a whole new audience to the magic of electrostatic loudspeakers. In late 2005, MartinLogan was acquired by a subsidiary of Shoreview Industries, a small financial firm specializing in supporting well-run private companies. Shoreview recognized MartinLogan’s bedrock commitment to quality, high performance, and customer service. They have remained a passive investor, providing an ongoing source of capital funding for research and facility upgrades over the years. With this backing as rocket fuel, MartinLogan was poised to become an international powerhouse of audio technology. 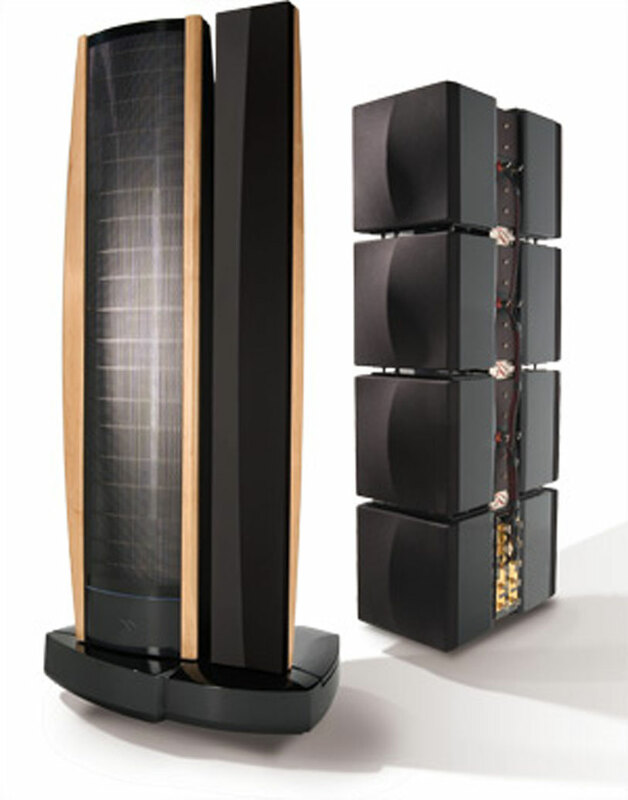 By the late 2000s, MartinLogan was not only producing the world’s most recognized electrostatic loudspeakers, like the affordable Vista (2006), the fully powered Purity (2007), and the reference-level Ethos (2010), but also making strides in the use of alternative thin film transducer materials. 2010 saw the introduction of the Motion Series, featuring exciting new Folded Motion tweeter technology, which miniaturized a high resolution thin film transducer into a compact tweeter design. Folded Motion tweeter technology delivered electrostatic-like high frequency detail in a more traditional speaker design. MartinLogan was also innovating more specialized home theater loudspeakers. The Stage, a compact center channel speaker, introduced in 2006, led to a long line of multi-application, ESL-based home theater speakers. These were bold, beautifully designed high performance loudspeakers that could be used in any position in a surround-sound system. (Subsequent Stage designs featured the Folded Motion tweeter.) The Motion Vision Soundbar, introduced in 2012, used Folded Motion tweeter technology to explode preconceived notions about multi-channel soundbar performance. It was the only powered all-in-one home theater loudspeaker to deliver a MartinLogan level of realism and impact. Quick on its heels in 2016, MartinLogan introduced the Masterpiece Series. The flagship model of the Masterpiece Series, Renaissance ESL 15A, is considered the pinnacle of electrostatic achievement. This new line carries within it the whole history of MartinLogan ESL innovations, advancements and breakthroughs, from massive integrated woofers and towering, perfectly blended electrostatic transducers, to handcrafted crossovers and Anthem Room Correction (ARC™) technology, the world’s best instant performance optimizer.